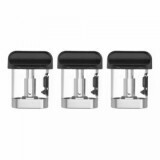 The MICO Replacement Pod is compatible with the SMOK MICO pod kit, 3pcs/pack. 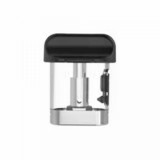 The MICO Replacement Pod is compatible with the SMOK MICO pod kit. We have Regular 1.0ohm, Mesh 0.8ohm and Ceramic 1.4ohm coil for you to choose from. You can also buy the SMOK MICO pod kit at BuyBest. • The SMOK MICO Pod Kit is also available in BuyBest. Ordered ten MICO pods for back! It's used very fast. buy the SMOK MICO Replacement Pod with the SMOK MICO Kit, just in case. So nice MICO Replacement Pod, this is my third time to order at this site. Fast delivery and nice product.